Our closest look yet at Concrete Genie’s story and confirmation of two PlayStation VR modes. Hello again! Dom Robilliard, Creative Director from Pixelopus here with a brand new trailer for Concrete Genie. This is the first time we’ve provided a glimpse of Ash’s heartwarming story in the game. He’s a bullied kid, who despite the tough time he’s having, is determined to use the power of creativity to make the world a better place. His hometown of Denska – a once-bustling seaside town – has been polluted by a mysterious Darkness, and it’s up to Ash to paint the town back to life. Be sure to check out the trailer and stick around to the very end! You’ll notice in the trailer that Ash discovers a magical paintbrush charged with Living Paint, capable of creating fantastical living landscapes and mischievous creatures we call Genies. Each piece of art created in the game will be unique and personal to you, and you can paint on any wall in the game so each players’ version of Denska will be totally different. You’ll develop special bonds with the variety of Genies you create and in return, they will help Ash solve puzzles and gain new abilities on your quest to restore Denska. We’ve invested so much effort into making these mechanics easy and intuitive for players to express themselves. We’ve had the opportunity to demo Concrete Genie at events around the globe and have been blown away by the response to gameplay so far. Along with our new story trailer, we also have a surprise for everyone – all editions of Concrete Genie will include two PlayStation VR modes* in addition to the core PS4 game! When we began making Concrete Genie, it always felt like the Living Paint mechanics would be a great fit for an immersive, first-person painting experience. When we showed the game to some old friends, Jeff Brown and Dave Smith – they came up with an incredible idea for how to take it to a whole new level in PS VR. It was such a compelling pitch that we decided to build a team around them, right next to us in PlayStation HQ so they could create it alongside us. We are absolutely thrilled with how this part of the game has come together and you’ll be hearing more about these two modes soon. 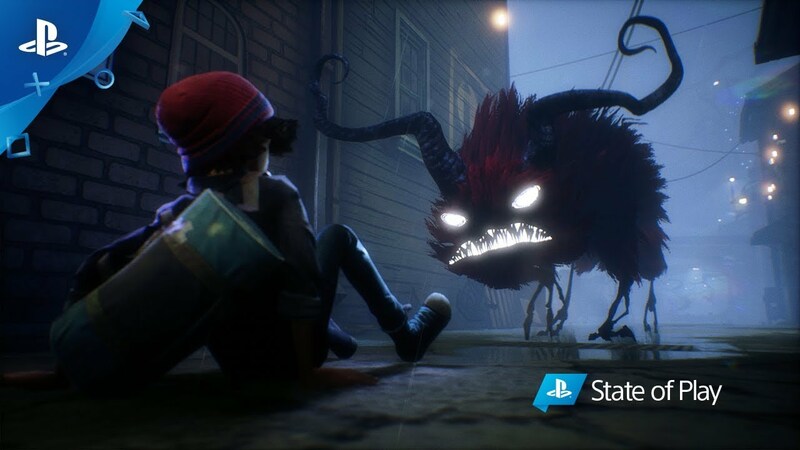 Concrete Genie will be available Fall 2019 exclusively for PlayStation 4. We look forward to sharing more in the coming months. Stay tuned! *VR modes require PlayStation®VR and two PlayStation®Move Motion Controllers. Sold separately. Please review and follow all safety guidelines for use of PlayStation®VR. PlayStation®VR is not for use by children under age 12. PlayStation®4 system, PlayStation®VR and PlayStation®Camera are required to experience VR functionality. A creative new adventure from PlayStation’s Worldwide Studios and developer Pixelopus. Sad to hear about the delay, but excited for the game! Wish this didn’t get delayed again but I’m in Day 1 when it drops finally. By the way can you confirm whether this will be a digital only game or will it be at retail as well? is this game only in PS VR or playable on PS4 if i don’t have PS VR ? It says right in the post that it is a PS4 game with 2 optional VR modes. Also you could look the game up and see it played on the PS4. I sure hope this game will receive a physical release! Take your time. This game is going to be something truly important! I hope he’s not using any oil based paints; probably wouldn’t help with his town’s pollution. The game looks fantastic and doesn’t look like it’d be too nauseating.